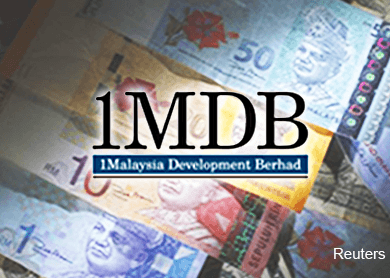 KUALA LUMPUR: 1Malaysia Development Bhd (1MDB) has dismissed claims that it attempted to “hijack” the Terengganu Investment Authority’s (TIA) money, which receives royalties from Petroliam Nasional Bhd (Petronas) annually. “There was no attempt to hijack TIA money,” 1MDB said in a statement yesterday. It noted that various discussions were held between the federal government and the Terengganu state government on how each party would provide its share of funding for the TIA back in 2009. “Eventually, the federal government’s contribution consisted of it guaranteeing a RM5 billion sukuk issuance by the TIA. This happened on May 29, 2009, prior to the TIA being federalised. Subsequently, the Terengganu government decided to withdraw from the TIA, which led to the entity being federalised in July 2009,” it added. 1MDB was responding to former prime minister Tun Dr Mahathir Mohamad’s comment in his blog post entitled “The 1MDB Story”, which detailed several issues that were wrong with 1MDB and its RM42 billion debt. 1MDB also debunked claims by Dr Mahathir that the RM5 billion sukuk issuance was not discussed and approved by the Cabinet, adding that the government guarantee was not “off budget” as claimed. “It is a clear and acknowledged liability of the federal government, which is ultimately the 100% shareholder of 1MDB,” said the company. 1MDB said the RM5 billion sukuk issuance was arranged by AmBank, not Goldman Sachs, which had been reported to receive RM500 million as commission for arranging the transaction. “AmBank fully underwrote the sukuk issuance,” it added. 1MDB noted that the interest cost of its RM42 billion debt as of March 31, 2014 was RM2.4 billion, 20% less than what Dr Mahathir had claimed. 1MDB acknowledged that it had borrowed RM2 billion as arranged by a subsidiary of Tanjong plc. “These proceeds were used to repay a RM2 billion loan provided by a syndicate of domestic lenders. It was not used to pay interest,” it said. The fund added that Tanjong had an obligation to subscribe to RM2 billion of equity in 1MDB’s unit Powertek Investment Holdings Sdn Bhd, in which the proceeds would be used for the loan repayment. “As previously explained, 1MDB is bound by confidentiality agreements and cannot elaborate further on why the RM2 billion equity investment was subsequently agreed by the parties to become a RM2 billion loan,” 1MDB said. On its Tun Razak Exchange (TRX) land purchase, 1MDB said it had paid RM230 million to buy a 70-acre (3.05 million sq ft) tract from the government, and not RM320 million as claimed by Dr Mahathir, who argued that 1MDB should have paid at least RM3,000 per sq ft (psf) to RM4,000 psf as the land nearby had been sold at RM7,000 psf. 1MDB said although the land price per sq ft was lower than market rates, the deal was ultimately within the confines of the government’s internal transactions. 1MDB contended that the RM230 million purchase price was justified as the infrastructure cost that 1MDB was obligated to deliver within the proposed TRX was at least RM1,500 psf. “This is a direct benefit to any land buyer and forms part of the purchase price paid,” 1MDB added. On claims that PetroSaudi did not pay a single cent in a joint venture (JV) with 1MDB, the fund said PetroSaudi owns assets, comprising rights to oilfields in Turkmenistan and Argentina, worth US$2.7 billion (RM10.1 billion). “These assets were sold by PetroSaudi to another subsidiary (JV company), which at the time of the asset sale was a company formed by and initially 100% owned by PetroSaudi for the proposed JV with 1MDB. In return for the US$2.7 billion asset transfer, the JV company had to pay PetroSaudi US$700 million. This indebtedness resulted from the asset transfer. Accordingly, there was no loan made or to settle,” said 1MDB, adding that it on Sept 29, 2009 signed a JV agreement with PetroSaudi. “Upon the completion of an independent valuation, 1MDB contributed US$1 billion of cash in return for 40% ownership of the JV company, and PetroSaudi was left with a 60% stake in the JV company. “In effect, 1MDB’s contribution was in cash, whereas PetroSaudi’s contribution was in independently valued assets worth US$2.7 billion,” said 1MDB. This article first appeared in The Edge Financial Daily, on June 17, 2015.